Early in the air control movement, the primary goal of air barriers was to control condensation within exterior wall and roof assemblies. While moisture-related problems are more easily observed and documented, the positive impact of building air tightness on energy consumption is becoming more evident. 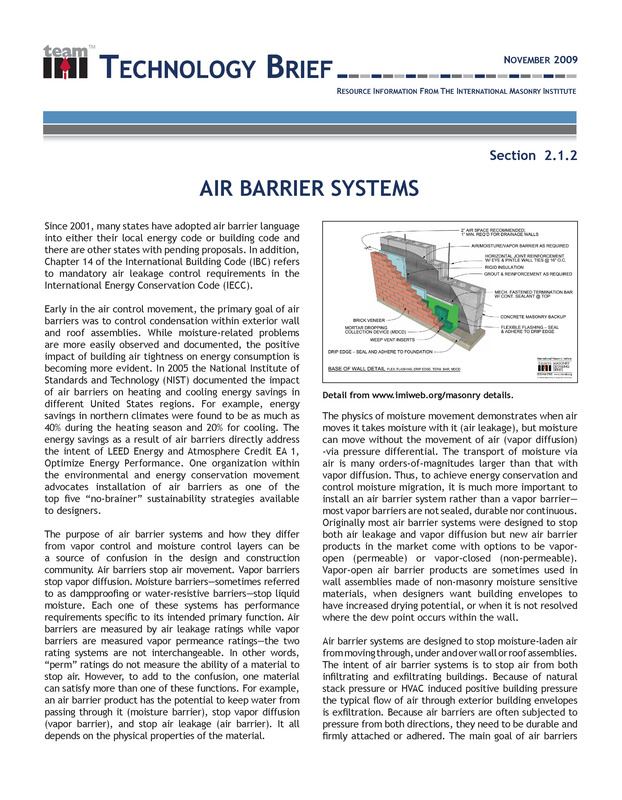 In 2005 the National Institute of Standards and Technology (NIST) documented the impact of air barriers on heating and cooling energy savings in different United States regions. For example, energy savings in northern climates were found to be as much as 40% during the heating season and 20% for cooling. The energy savings as a result of air barriers directly address the intent of LEED Energy and Atmosphere Credit EA 1, Optimize Energy Performance. 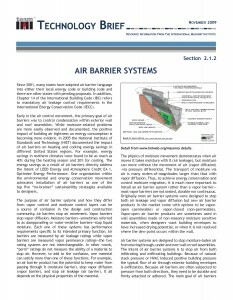 One organization within the environmental and energy conservation movement advocates installation of air barriers as one of the top five “no-brainer” sustainability strategies available to designers….